@krozruch ...what does he think attempting to go ahead with it has done? @artsyhonker Yeah I often find I have little to say on this anymore. 3 years of pointless fretting over my identity as a British person abroad, in Europe, will do that I suppose. But so will the consistently egregiously low tone of what passes for British political debate. 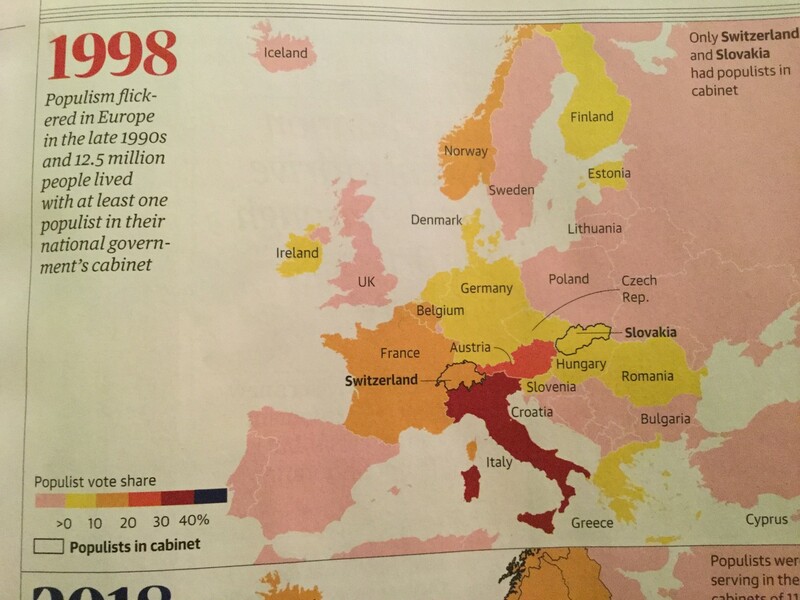 @artsyhonker A few weeks back I tooted these maps where Britain was said to be in the clear in 1998 (ok) and 2018. I queried the methodology. In Britain mainstream parties (mainly but not exclusively the tories [auto-corrects to torture]) strategically adopted the key policies and tropes of the far right for political gain. The media adopted and shaped their talking points. The whole mess continues to appall. @krozruch I think it goes back earlier than 1998, by some way. Neo-liberalism and selling off the welfare state in bits and pieces was always going to end up with a situation where the media could largely control the government. I&apos;m too tired to explain my train of thought at the moment. And yes, it is appalling. @artsyhonker A lot of the rot goes back way further, and institutional fatigue was evident after the war. 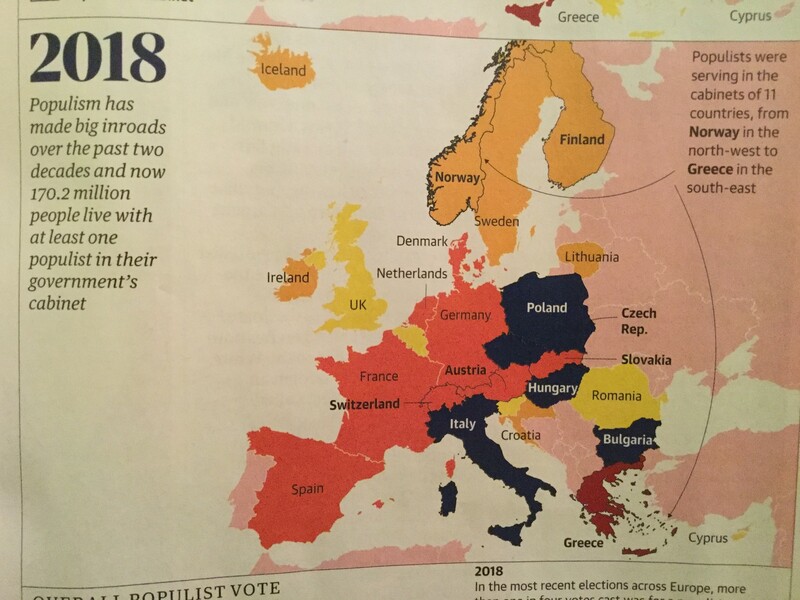 The maps were specifically about parties ranked as populist making electoral gains. Specifically in those terms I think there was still all to play for in 1998. Sadly, though, setting such technicalities aside, it sounds like we agree on our understanding of the current state of British democracy. I wish it weren't so.